Argentinians love sweets and dulce de leche is one of the favorites that delights the nation. What is dulce de leche you might ask, it is literally “sweetened milk” similar to a type of caramel. 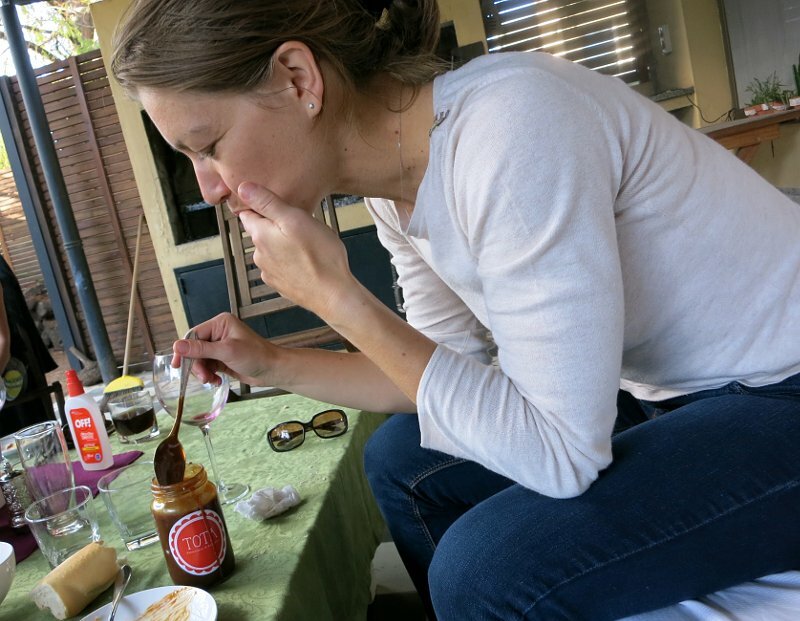 In Argentina, dulce de leche is practically a religion. 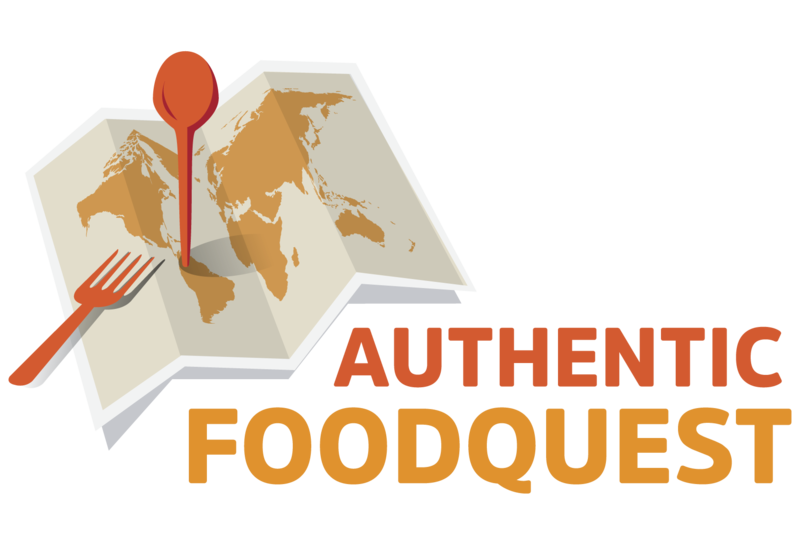 On our quest for authentic food in Argentina, we were struck by its popularity. Everywhere we looked, there was dulce de leche. From pastries, snacks, ice-cream and desserts, you are never far from this sweet treat. Earlier in a previous article, we highlight some of the top Argentina desserts where, not surprisingly, the common denominator is dulce de leche. 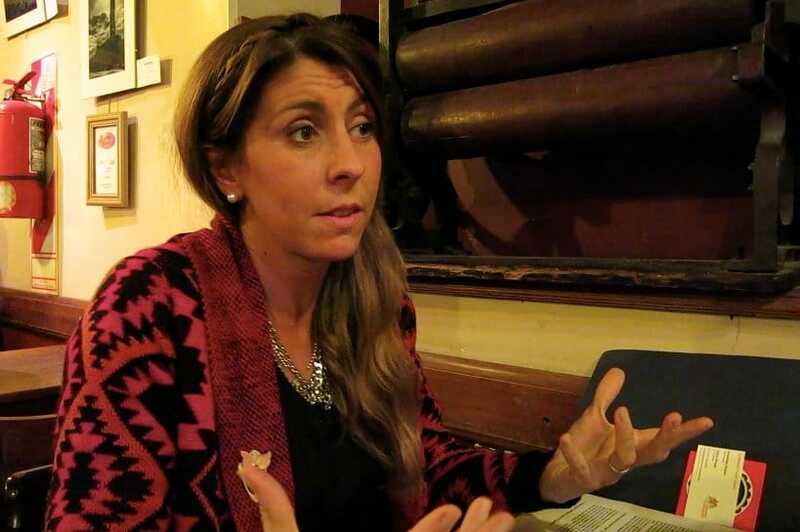 To better understand Argentina’s craving for dulce de leche, we had the opportunity to meet Maria Ana Gianni, a local entrepreneur in Buenos Aires. Maria makes and sells homemade dulce de leche. In addition to talking about dulce de leche, we also discussed her inspiration to create her business Tota, and Argentina’s love for food. Let’s meet Maria Ana Gianni! 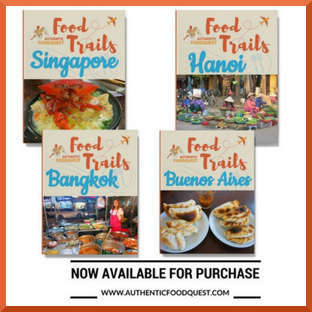 Maria Ana Gianni is the founder and creator of Tota Alimentos & Bebidas. We were introduced to Maria by friends from Los Angeles. Our conversation took place over drinks at Bar El Federal, one of the famous bar notables that are part of the official heritage of Buenos Aires. Over drinks, Maria shared her background. We learned that she has a communications degree as well as training as a professional culinary chef. While she is still working in her full time job, her goal is to live off her passion and make Tota her sole business focus. Maria told us that “Tota” is her grandmother’s nickname. Her actual name was Ana Guimarey Edelma. As a child, her grandmother was kicked by a horse while playing in the field. The name of the horse happen to be “Tota”. From that day onward, her grandmother was nicknamed “Tota”. Her grandmother, Maria told us has been the biggest inspiration and influence in her life. 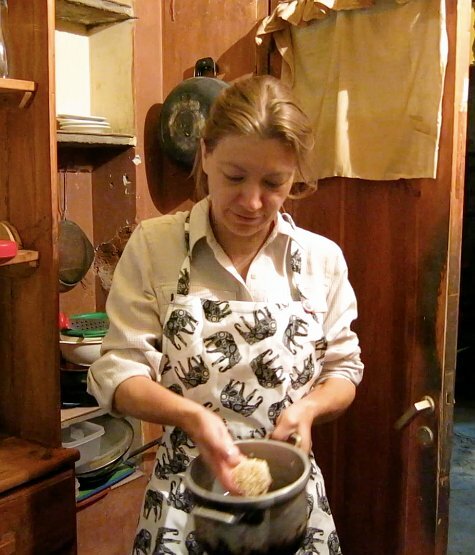 Maria grew up with her grandmother, who was her first teacher in the kitchen. She told us how she would sit on a stool and admire her grandmother as she cooked. 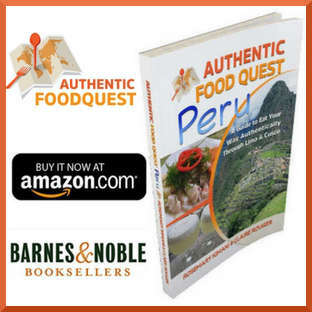 From as far back as she could remember, Maria and her sister would get up in the morning and would have breakfast with milk and homemade oatmeal cookies that had just been freshly baked. For her grandmother, cooking was not a task to simply feed people. It was a way to demonstrate love. Everything her grandmother did was prepared with love, including her favorite dessert, dulce de leche. From the way the table was laid out to the presentation of the dishes. Eating was a communion of love and pleasure. Maria told us that her grandmother has since passed away and it is a blessing and honor to put her name on her products. Many years later, after studying Communications and Gastronomy, Maria told us of her desire to follow in her grandmothers footsteps. She has always loved cooking like her grandmother and making homemade artisanal products. Her friends who enjoy her cooking, started requesting her products and urged her to sell them. With the support of her husband, Maria created Tota about a year ago. She now sells her products in Buenos Aires from her Tota Facebook Page. What started as a passion is now growing into a business. What makes Maria’s products unique is that they are natural and made with no preservatives. Given that Maria is still employed full-time, she prefers to make products that can stored or conserved. Some of the products include; marinated eggplants, picked vegetables and marmalade. Whenever possible Maria also makes and delivers prepared dishes like tortas, which are similar to a quiche. Beyond food products, Maria also sells her unique Italian designed aprons. Homemade dulce de leche, is Maria’s signature product. Dulce de leche is a kind of sticky syrup or carmelized milk and sugar sauce. In Argentina, it is considered a delicacy and sometimes refered to as the nation’s sweet. You will find variations of dulce de leche in other Latin American countries as well as France, Spain and the United States. In Argentina, the grocery store aisles dedicated to dulce de leche are quite impressive. Multiple rows filled with different brands and packages. While nationally loved, most Argentines, prefer the convenience of buying a packaged product. Making dulce de leche is not difficult, but it is time-consuming. Maria told us that it takes her six hours of continously stiring to make the product. The secret to making the perfect dulce de leche is to stir the milk and sugar at the perfect temperature, so that it becomes smooth, almost liquid and with a nice caramel color. Maria’s special trick is to stir for “1 minute”, let it rest for “5 minutes” and stir again and so on. She “recruits” her husband to help stir, while her son has the delicious job of tasting each batch. While it is hard work, Maria loves what she does. From making the products, to putting the bows on the jars of dulce de leche and preserves, nothing gives her more pleasure than making the best homemade products. Meeting Maria was inspirational. Her passion for homemade delicious products and great tasting dulce de leche was clear from the start of our conversation. To give and share love through food, like her grandmother did, brings her pure joy. Having tried dulce de leche in many different sweets, we could immediately taste the difference in quality. 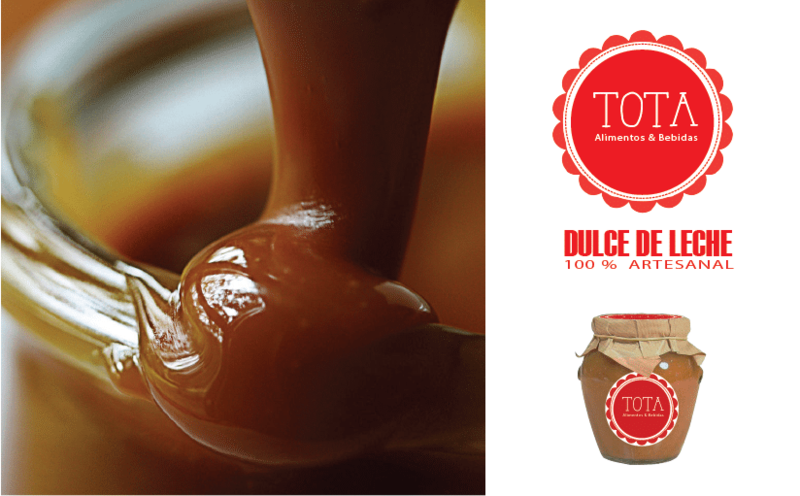 We found the Tota homemade dulce de leche to be smooth and without the artifical sweet taste found in many store brands. 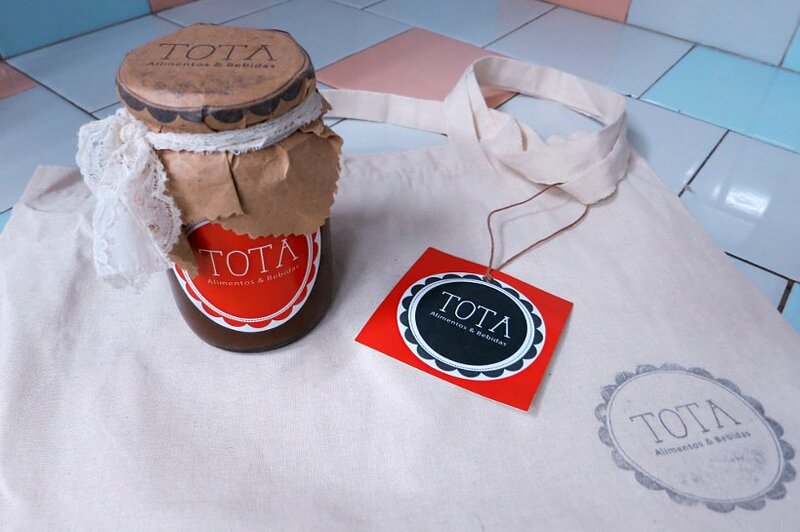 If your travels take you to Buenos Aires, order your artisanal dulce de leche from Tota. Your taste buds will delight in the smooth and delicate taste from the hours of tender effort. 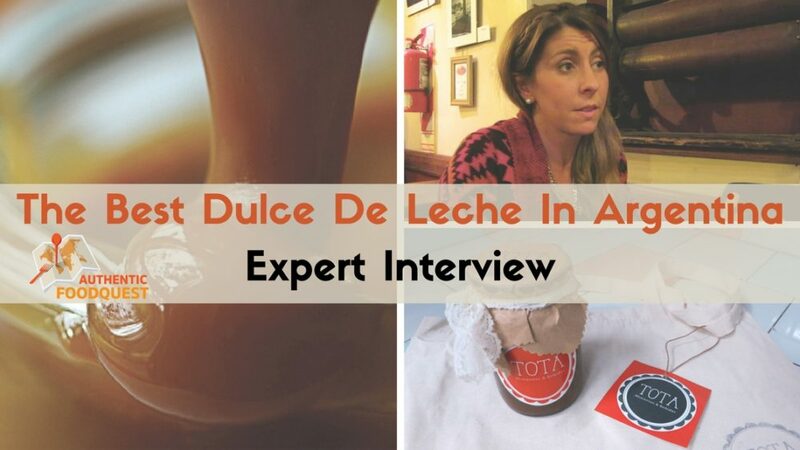 How To Order Tota Dulce De Leche: Please contact Maria directly via the Tota Facebook Page and she will make delivery arrangements directly with you. Please keep in mind that she only delivers in Buenos Aires, Argentina. Enjoy reading this article? 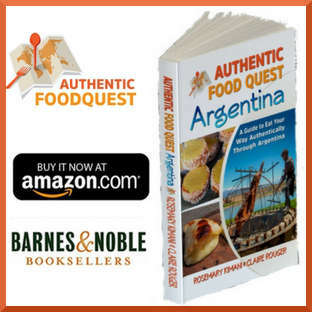 Read more about the authentic foods in Argentina we discovered in our Amazon Bestseller book: Authentic Food Quest Argentina: A Guide to Eat Your Way Authentically Through Argentina Available NOW on Amazon. Love dulce de leche!Homemade tastes yummier! You are so right, Sahat. Homemade is always a winner! Thanks for your comments! Ah my boyfriend would be in heaven – he LOVES anything and everything dulce de leche! I’ll definitely be showing him this! That’s wonderful that your boyfriend loves dulce de leche…how about you? Have you fallen for this “Argentine treat” yet? I am crazy for dulce de leche. We also make many uses of it in Brazil. Yes, you are right Denise. 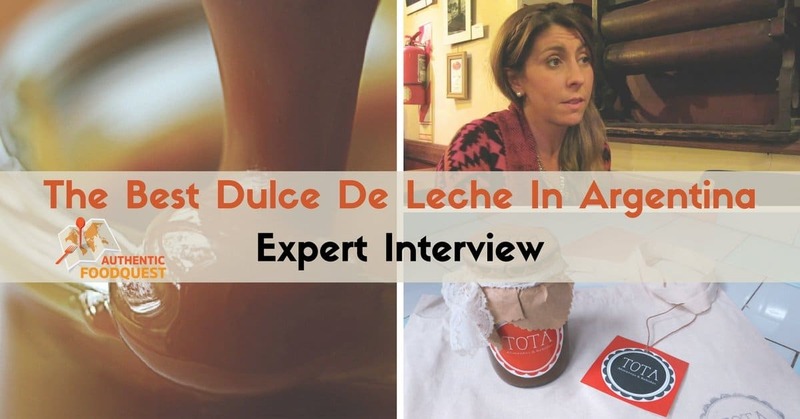 Dulce de Leche is very popular in Latin America. What’s your favorite way of enjoying or eating dulce de leche? The packaging is amazing. I love making my own dulce de leche so I know where her passion lies ? Cool and interesting interview. The background is really important for the success of the business, of which I really like the branding. Now I feel I need to try dulce de leche straight away! Thanks Hugo for your comments. Love the branding as well. Maria does certainly have the right background and passion for making her business a success. Hear you…now for some amazing dulce de leche!! Unbelievable! I don’t know if I would have the patience for 6 hours of stirring. However, the dulce de leche is incredible. Great question about the apron, Anna. I’ll find out and let you know. Cheers! This sounds absolutely delicious. I can understand how addicting it must be and I’m glad that to be far from the temptation! I wish Tota all success. Wise words Elaine, better to far from the temptation. The good is news is that compared to store bought brands, Tota uses natural products and no preservatives. So, there is a “halo” of health 🙂 Likewise, we wish Tota much success as well. Thanks for your comments. Drool! This is cracking me up because before going to Argentina, my friend explained the country’s obsession with dolce de leche, and I didn’t believe it until we went to a supermarket the first day, and EVERYTHING, including the yogurts, came in dolce de leche flavor! You are right Lillie, it is hard to explain the phenomenon unless you witness it. The supermarket aisles are impressive. 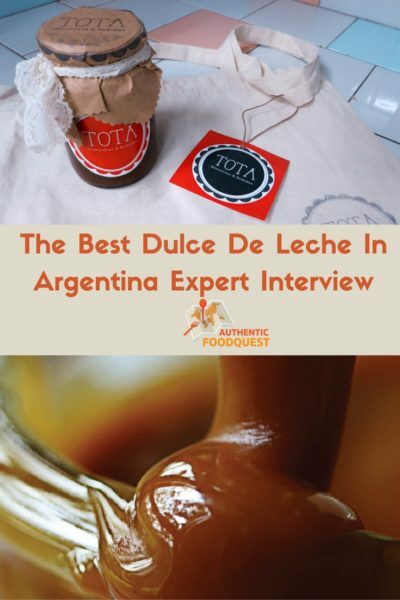 Did you fall in love with dulce de leche like most Argentinians? Did you have a chance to try any artisanal brands? Could you tell the difference? Thanks for your comments. MMMM I love dulce de leche and I’m sure Maria’s product is amazing! I love that she uses no preservatives! Indeed Erika, that is what makes her products so special. No additives or preservatives. Just the way “food” should be 🙂 Thanks for your comments. What a cool article! I love stories like that which teach me something new. I had no idea that dulce de leche was from Argentina. Thank you Natasha for your kind words. So glad that you enjoyed reading the article. While dulce de leche is popular in many Latin American countries, the obsession in Argentina is quite remarkable. Appreciate your comments. Thank you! I love Dulce de Lece, although after a couple of days, it becomes too sweet for me. I’m heading to Argentina in September, just for a couple of days though, and will definitely enjoy this sweetness again for a bit! Agree, dulce de leche is a little sweet, especially in the beginning. After a few days, it’s get’s easier to indulge in 🙂 Safe travels to Argentina. What a sweet story! I’m sure her grandmother is very proud of her passion and dedication. I wish Maria only the best for her and her business! Thanks for your kind words. Maria is so passionate about what she does and she remains forever grateful to her grandmother for being her first teacher in the kitchen. We wish her the very best as well. Cheers! Ahhhh My brother and I are fans of dulche de leche. We always buy them. I wanna try making one now. I have never heard about dulce de leche (okay, I live in Hungary so it is not surprising). But it was very good to read about this woman, she is very inspiring and maybe once I will have chance to taste dulce de leche. Wow, that’s incredible you have not heard of dulce de leche…have to admit you’ve been missing out:) Are there any South American or Latin restaurants in Hungary? If so, I bet they would have dulce de leche on their dessert menu. Worth seeking out 🙂 Glad you enjoyed reading the interview. An inspirational story indeed. Thanks for your comments! 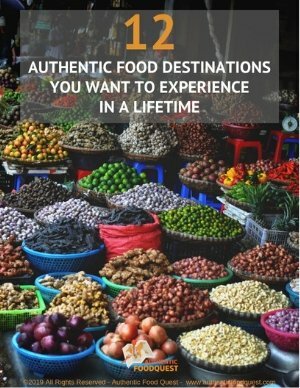 Because there are so many different kinds of food all over the world, I think that it would be fun to go all over the place to find different kinds of drinks, sweets, and foods to try. I think that by trying new receipts it would be a way to help to unite the different countries through our common interest in food. 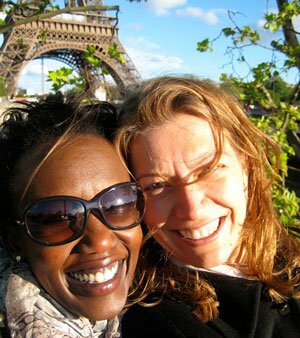 Plus, it is fun to experience different cultures. This is quite an amazing blog to read and is really exceptional!